Our Soap Bar contains all of the same nourishing ingredients you love in our other soaps without the harsh chemicals and detergents of commercial bars. Leaving your skin moisturized while gently cleaning the skin. Goat’s milk is also rich in vitamins and nutrients important to healthy skin, including zinc, alpha hydroxy acid and amino acid, as well as vitamins A, B, C and E. The pH balance of the fatty acids found in goat’s milk is very similar to the pH levels found in the human body, making it easy for these beneficial nutrients and moisturizers to be absorbed into the skin. 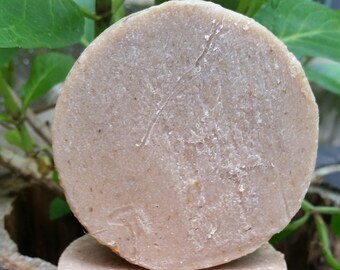 If you use goat’s milk soap on a regular basis, you will likely find that your skin requires less moisturizer. Shea butter is such a rich and effective moisturizer, using it for making soap is ideal because it will help to feed and soften the skin that is being cleaned by the soap. It also makes the soap less harsh. Interestingly, because Shea butter has a high amount of what’s known as unsaponifiable compounds, more of the buttery, nourishing and moisture rich Shea is delivered to the skin when used as a soap in comparison to other oils used for soap making. 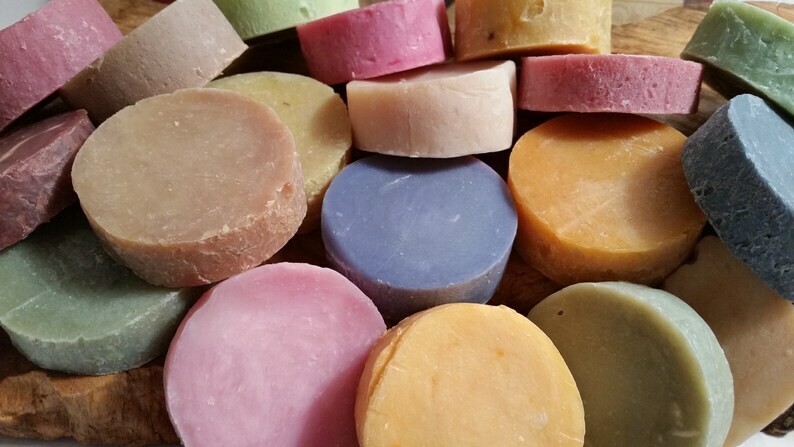 Shea butter soap is also high in skin nourishing vitamins, namely vitamins E, A and C, all of which act as antioxidants to stop the negative effects of harmful free radicals. Coconut oil is almost 50% lauric acid, with capric and caprylic acids making up another 18%. These natural medium chain fatty acids act as disinfectants and antimicrobial agents when applied to the skin. Athlete’s foot, toenail fungus, eczema, ringworm, psoriasis and acne are just a few of the skin conditions against which coconut oil’s acids are effective. Some others are herpes, hives, rashes, dandruff and rosacea. Coconut oil, in fact, has only a small amount of vitamin E. What is amazing, however, is that combining both coconut oil and vitamin E in a product, such as soap, makes the vitamin much more easily absorbed by the skin. Both coconut oil and vitamin E are powerful antioxidants known to have valuable anti-aging properties like preventing skin from cracking and wrinkling. The abundant proteins in coconut oil, nourish the skin, aid in maintaining cellular health and take part in tissue repair. This, in part, helps the skin to heal from small wounds and after insect bites. 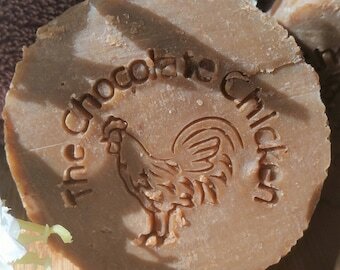 To create this bar soap, The Chocolate Chicken uses natural ingredients. 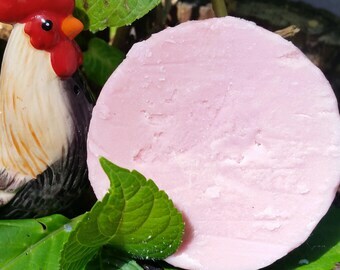 Each bar of soap is made with goats milk and saponified oils (coconut oil, soybean, canola, shea butter, avocado, castor, essential oils and/or fragrance). 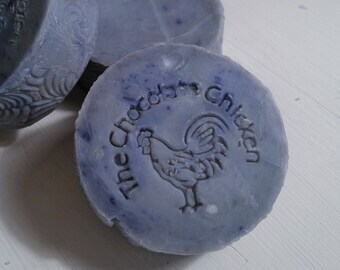 All of our soap bars are handmade in small batches and are silicone, paraben, sulfate free. All of our bars are hand cut, shape, size and color may vary. Due to the nature of our products and to ensure the quality of our products, We ONLY ship MONDAYS, TUESDAYS and WEDNESDAYS. These smelled great and were packaged it cute little bags, thanks!